NAIROBI, 2 April 2009 (IRIN) - Somalia has revoked fishing licences for foreign vessels and is planning a new law to regulate fishing in its waters, a minister told IRIN on 2 April. "I do sympathise with the fishermen and we are working on a new law to regulate the activities of these [foreign] ships," said Abdirahman Ibbi, the Deputy Prime Minister and Minister of Fisheries and Marine Resources in the new Somali National Unity Government. Ibbi said an estimated 220 foreign-owned vessels were engaged in unlicensed and illegal fishing in Somali waters. Most were of European origin, he added. However, he said, it was "impossible for the new government to monitor their fishery production in general, let alone the state of the fishery resources they are exploiting". 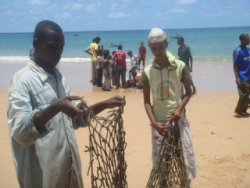 Abdullahi Sheikh Hassan, head of a fishing cooperative in the southern coastal town of Merka, told IRIN that livelihoods were being destroyed. "Fishing is the only thing we know and without it we have nothing," he said, adding that lack of support, combined with the foreign fishing vessels, was ruining fishing communities. Hassan said many members of his cooperative, established in 1974, lacked equipment, such as boats and nets, "because they had no means to replace the old ones". Reports of crews of foreign-owned ships harassing and intimidating local fishermen had been made by Somali fishermen. He said a number of Somali fishermen were missing and presumed dead after encounters “with these big ships”. 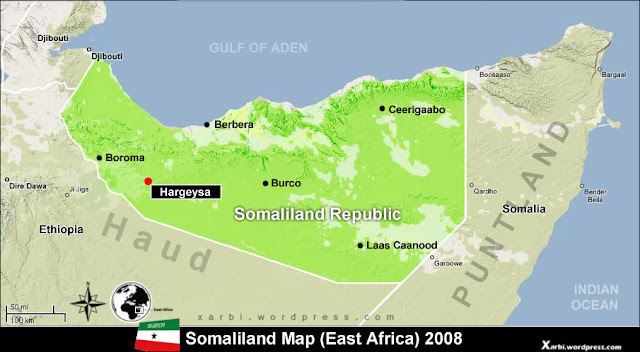 Abdirahman said the number of foreign ships in the south had increased after they were chased from the north by pirates. He said the foreign ships were now being protected by the navies of their countries and “do whatever they want to us”. Local fishermen go out late at night to set their nets, but discover in the morning that they have been cut or stolen. "They are no longer satisfied to take our fish, but they are forcing us to abandon fishing altogether," he said. He claimed some of the foreign navies were treating Somali fishermen as if they were pirates and had occasionally opened fire on Somali fishing boats. "We are forced to avoid going far and stay within sight of towns to avoid them and this means our catches are much smaller," Abdirahman said. "We are being driven out of business by foreign vessels protected by their navies. Who is protecting us? Our existence depends on the fish." He said the international community was only "talking about the piracy problem in Somalia, but not about the destruction of our coast and our lives by these foreign ships". He said many families were already destitute and if the situation did not improve, “many families will be begging”. Somalia has a 3,330km coastline, with major landing sites in Kismayo, Mogadishu, Merka, Brava, Eil, Bargal, Bolimog, Las Korey and Berbera, and Bosasso. It has large species, including tuna and mackerel; smaller stocks, such as sardines; shark species and lobsters. Somalia, which has been ravaged by civil war since 1991 and has had no effective functioning central government, lacks the capacity to ensure controlled exploitation of the fishing sector and can hardly enforce fishing regulations on its own, much less stop foreign vessels, said a civil society source in Mogadishu.